DAY 57 -- My lack of motivation to write much lately continues as I struggle to pull myself away from the other menial tasks of my summer days. After all, these discs aren't going to convert themselves to digital files. That could be one of the most ridiculous sentences I've written in a long time. Speaking of ridiculous sentences, I put my kids' question from yesterday -- "Would you rather be hit by a bear or electrocuted?" -- to the test via a Twitter poll. Hit by a bear and also electrocuted by a bear -- or just electrocuted in general? Are you killed by both or no? Regarding the death option, I'd say no dying here. Otherwise, who cares which one you pick, right? 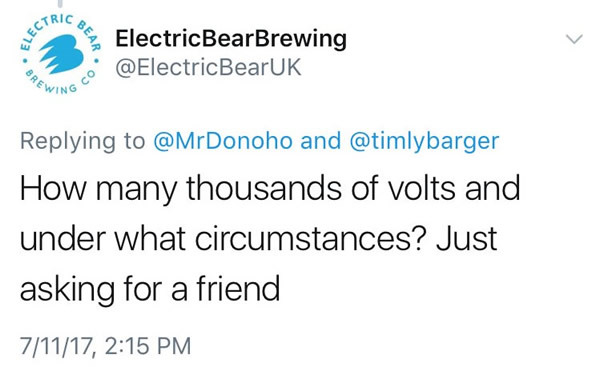 As far as the other, my initial thought was that the electrocution did not involve a bear but I'm thinking that things get much more interesting if it does. Being struck by a bear is simply reactive and natural. 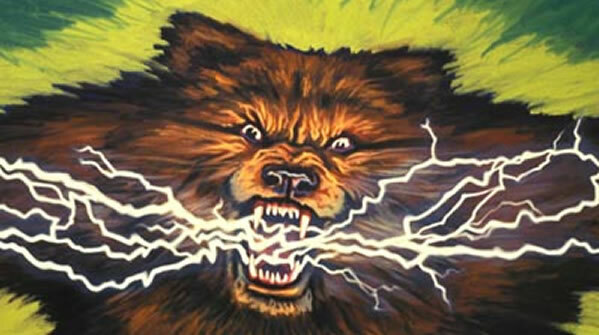 A bear electrocuting you is clearly premeditated. Still trying to decide which option I'd prefer. I don't get poison ivy. In 41 years, I've been in many woods, fields, and overgrown berms -- but never once have I had any sort of reaction to poison ivy. Remember that visit to the nature center last week? The next day I had some bumps on my arm -- clearly a reaction to poison something. A week later, although improving greatly since a week ago, I'm still slathered in calamine lotion.